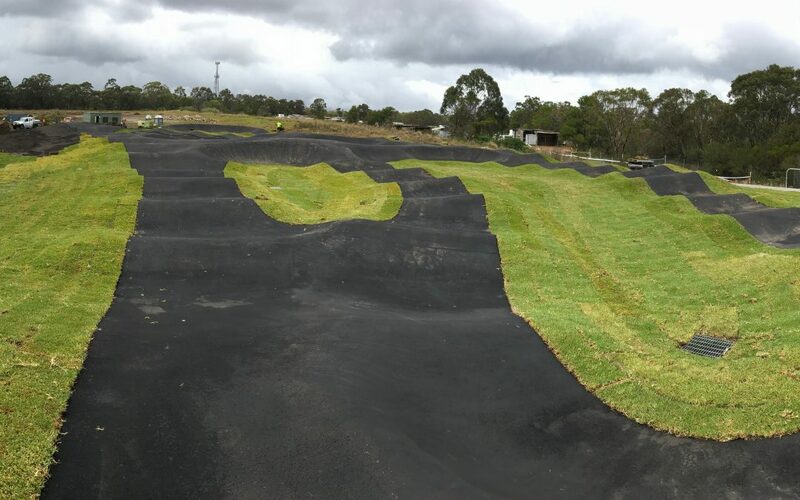 A TWS Hire watercart was hired by World Trail for the construction of “The Ridge Pump Track” at Barden Ridge, a new bike pump track facility which forms part of The Ridge Sporting Complex in Sydney’s southern suburbs. The 4,500 litre watercart was used by one of World Trail’s operators for dust suppression and compaction works for this state‑of‑the‑art asphalt pump track which includes amenities, shelters and a carpark. World Trail custom designs, engineers and constructs some of the world’s best asphalt pump tracks. The ingeniously moulded smooth asphalt surface allows for usage by skateboards, scooters and bike riders also catering for a wide variety of rider skill levels. Asphalt pump tracks feature highly curved sculptural forms provide an attractive addition to even the most formal landscape setting. Their design allows for passive areas for resting and spectators. The incorporation of pathways, trees, vegetation, drainage and outdoor furniture provides a vibrant, interesting, attractive and functional recreational landscapes for all users. World Trail designs and produces all types of recreational trails and was awarded the inaugural, ‘Specialized Trail of the Year’ award by the riders of the Enduro World Series for 2017. The compact 4,500 litre watercart was hired from TWS HIRE due to its suitability for the site, compact size and equipment and ease of site delivery. TWS HIRE’s comprehensive fleet of drive yourself compact watercarts are ideal for any construction site, large or small.